Summonari don’t trust. Under their command, they summon any number of creatures from the Otherwolds—but never trust them outside of the summoning. Gargoyles don’t love. Fierce descendants of dragons, they function on power and fear—never love. Karla isn’t the happily-ever-after type of girl. No territory-hungry guy is going to stick flags all over her unclaimed grounds. Kann’s world is death and betrayal. As Dar Primus of Haus Varis, he’s expected to follow tradition but he’s not your regular gargoyle. In fact, he’s anything but. One fateful Friday night, Otherworlds collide. Stuck together in one world or another, Karla and Kann face everything from Awakenings and turbulent love to Festnavals and bloodthirsty scorned suitors. If there’s one thing they can’t escape, it’s the addiction to each other. And they’ve got it bad. A copy of this book was provided to me as part of the blog tour, in exchange for an honest review. I like paranormal books. I haven't read much New Adult PNR but I plan to change that after reading and loving this book. It's been difficult to write out all the reasons I love this book, so bear with me as this could get a little choppy. What I like about Karla- Karla is a strong woman, decisive, and fights against having a man control her in any way. She's also honest with herself, but terribly hurt and deep down has a hard time letting Kann in all the way even though they share souls. They do this through the concept of Numata. Basically it's the coolest thing ever. Excerpt From: Olteano, Livia. “Gargoyle Addiction.” iBooks. 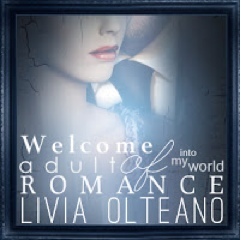 I really enjoyed this New Adult Paranormal Romance. If all the stories in this genre are as good as this I will be very impressed. I have a feeling they're not, though. This was just too good. The end brought a big happy smile on my face and I love that. It truly was a good love story-- not to mention crazy creative! I cannot wait for the sequel! When will it be out?! You can bet I'll be waiting for it as I don't want to forget this author/series! I recommend it for lovers of paranormal romance, new adult, and stories with original characters who seem incredibly real. 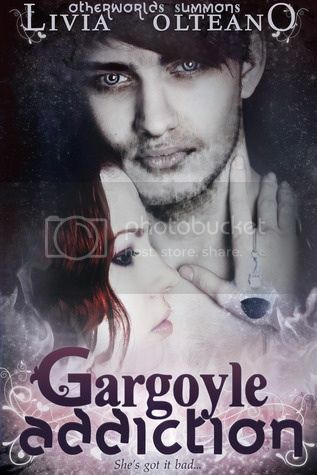 Individual giveaway (1) ebook copy of Gargoyle Addiction. Open internationally. The prize will be sent out the week of October 6th. Livia lives in Europe where she listens to obscene amounts of music and devours every reading material in sight. When she’s not doing either of the two, she fiddles with anything remotely customizable within reach. The Beautiful and the Cursed is the only other gargoyle book I've read I really liked the atmosphere of that one and this one sounds especially good! Glad you loved it! :) Great review! <3 it can't wait for the sequel! I think the thing that has come up the most while checking out all the other reviews on the tour is how EVERYONE loves that a book nerd (yay us) summoned her hunky hero to be by her side. Droooool. This sounds like a really great book! Great review :) I love and totally agree about all the trouble we'd be in if some characters we adored came to life! please leave a comment! I would love to engage with you. Thank you for reading and commenting! Often referred to as 'wisdom keepers', crystals hold millions of years of the Earth's history within them. Through emitting steady vibrations, they will help you to become more centered and balanced, creating spaces of Zen around you and your home. 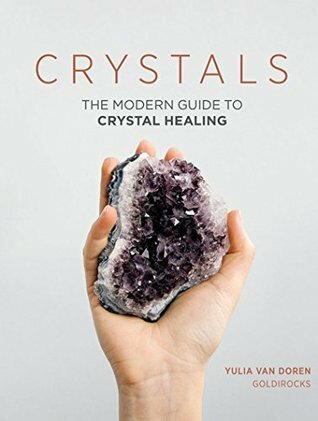 51 of the most common and interesting crystals, this is a practical guide that will teach you about each stone's individual properties and how to harness their powers.